Freshen up your new season ethnic wardrobe with these designer unstitched suits. 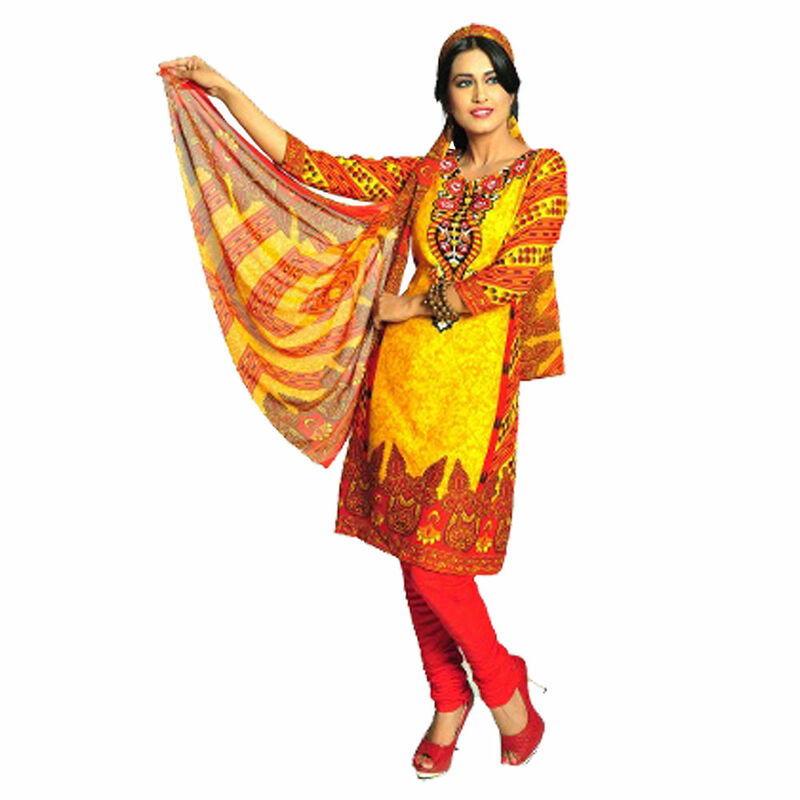 The contemporary suit's top features lovely prints which is set off by the contrast churidars and Chiffon dupatta. 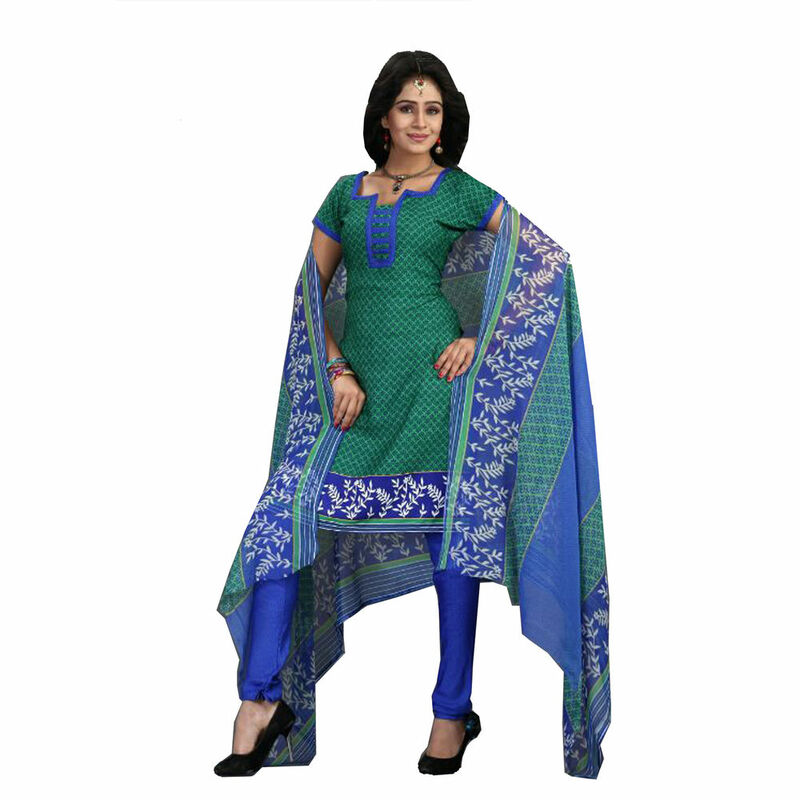 These suits look fabulous on you, as you drape it for any gathering. These printed suits will surely earn you plenty of compliments. Club these with matching acessories for the best look.